Import and export data in just clicks. Unlike many nonprofit software providers, Neon makes it easy to import and export data whenever you want. 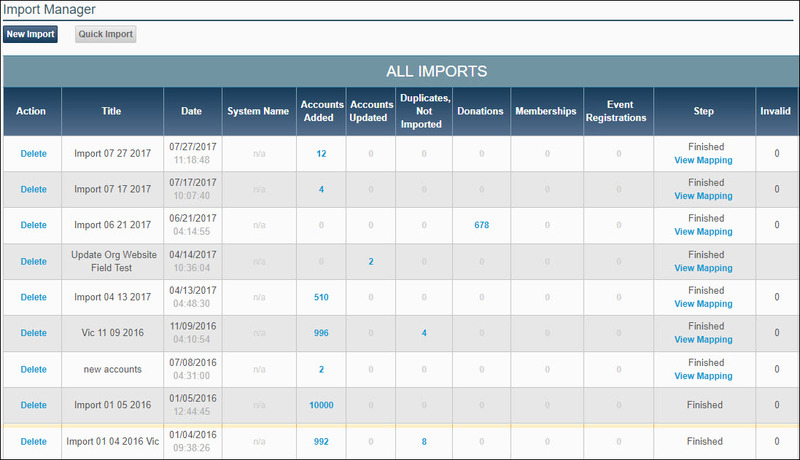 Import data on your own with a step-by-step data import manager. No consultant needed! Manipulate data with bulk editing and import tools, which help you save time. Export your data at any time, including specific lists, reports, and more! At Neon, we don’t believe in locking your data into our system. You can export whenever you need to, including mailing lists, reports, and more! Access to your data is important — which is why we’ve made it so easy to export data from Neon. You can use that exported data for other tools, further analysis, or for anything you want. It’s your data, so you should be able to use it however you’d like.